Another outstanding feature is this SUV’s ride and handling. It’s a performance SUV but there’s no hint of underlying stiffness to the suspension and it irons out the rough stuff in a very mature manner and the faster you go, it gets better. This is also the ideal SUV in which you’d attack a good set of corners and you are assured of a wide grin at the end of it. Out on a twisty section of road is where this SUV shines. Grip levels are great thanks to the stiff springs, all-wheel drive system and the fat 255 section tyres, which encourage the driver to drive fast around corners. The car is capable of carrying incredibly high speeds through bends. If the speed of the vehicle is too high while tackling curves, the torque vectoring system will independently apply the brakes to either or both the inside wheels to reduce understeer and hold the line better. There is some body roll but for an SUV this tall, but it’s actually very well controlled and the sharp and precise steering only adds to the brilliant driving dynamics of this car. 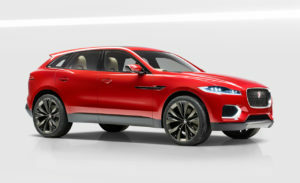 Jaguar is a late comer to the SUV/ crossover party, and there are probably a few Jag fans shaking their heads disapprovingly about the F-Pace. But who expected Porsche’s SUVs to be doing so well when the German sports carmaker launched its first such vehicle in the Cayenne.